– You can use the moon’s energies to release emotions that are no longer serving you – leaving you feeling clear, open and amazing! – You can tap into the abundance of the moon energy and use it to YOUR advantage. – It’s about about magic abundance and joy – manifesting your dreams + desires. FEEL CONNECTED. UNDERSTAND YOUR POWER. CREATE ABUNDANCE + FLOW IN YOUR LIFE. The monthly lunar cycle gives us the perfect opportunity to let go of what is no longer serving us and supports us with vital energy in moving forward, setting intentions and receiving our truest heart + soul desires. 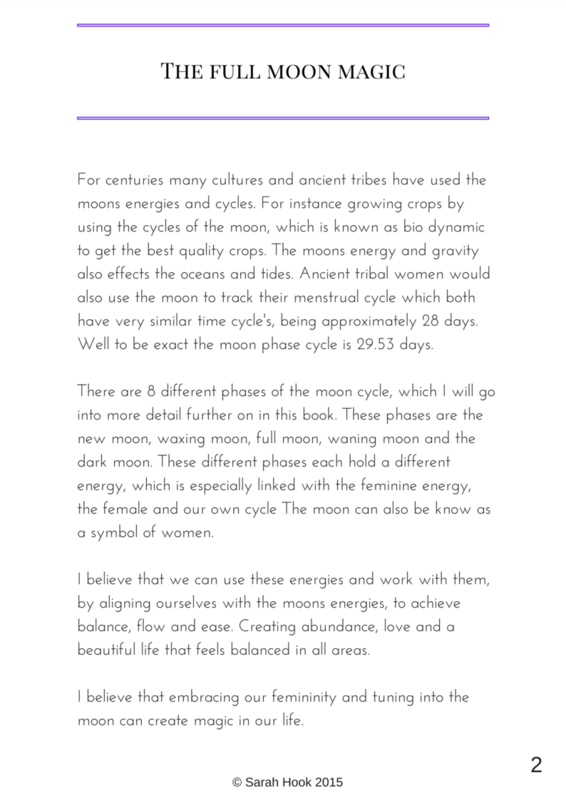 The moon represents the feminine energy and has a profound effect on our bodies and minds. The moon’s energy is all about creativity, emotions + nurturing our selves. Our souls. Creating JOY in our life. 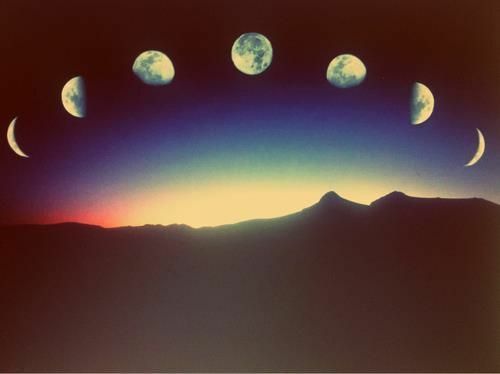 There are many cycles of the moon : new moon, waxing moon, full moon, waning moon and the dark moon. 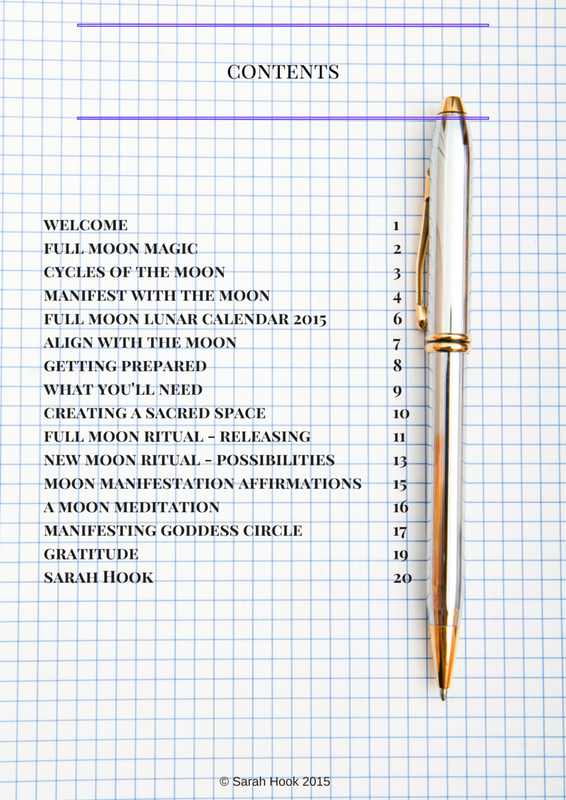 This e-book focuses on the whole moon cycle – a time to release + receive abundance, and how to tap into the magic and use it to your benefit! – I share my own personal Moon rituals that I use myself and with my clients to release, let go + manifest a beautiful life. 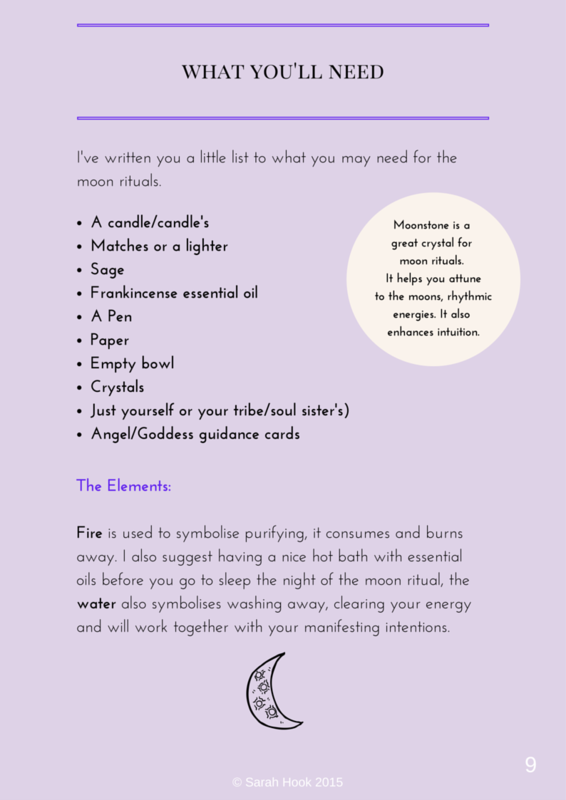 – I share with you how to have your own sacred moon ritual at home, or even share this powerful moon energy with friends and your tribe. 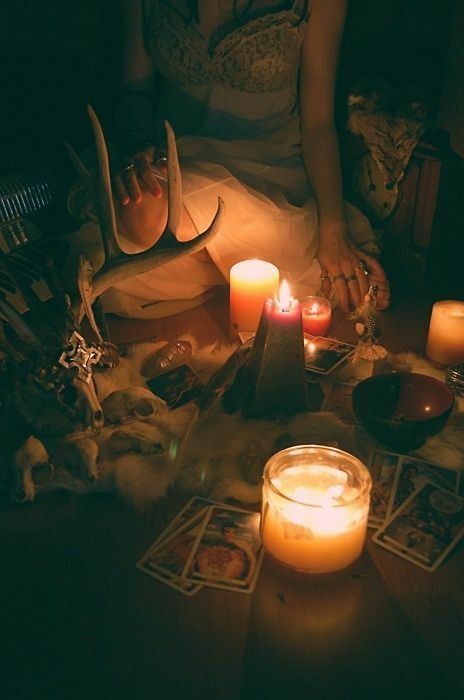 You can even hold your own full moon ritual/party, with healthy snacks and make a fun night of it. – A moon ritual is an inner transformational experience. 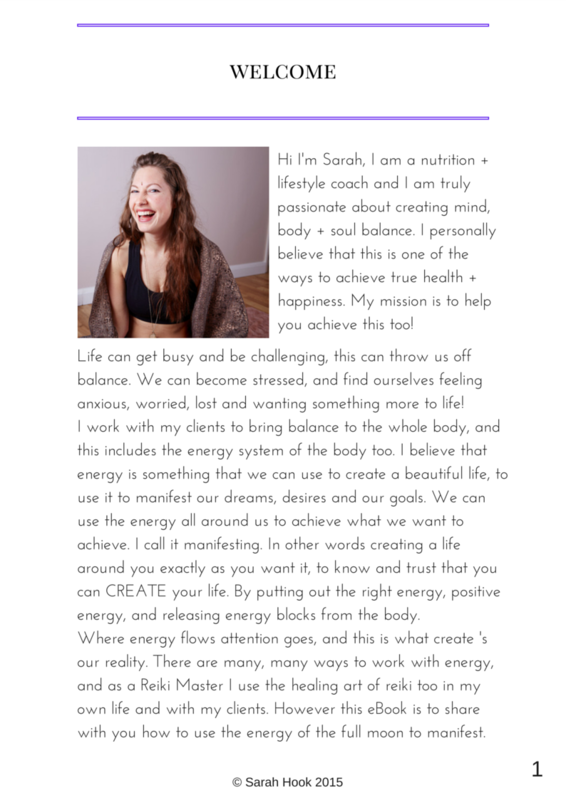 – Stepping out of the old and becoming your most highest empowered self. – Letting go of an old way of being, a old identity, old attitude, relationship, patterns, anything you are ready to let go of, that are holding you back. Learn all about the magic of the moon, the why’s + how’s! The 8 phase’s of the moon and how to align to them and start manifesting. Learn how to cleanse your energy and your surroundings + bring in manifesting energy. 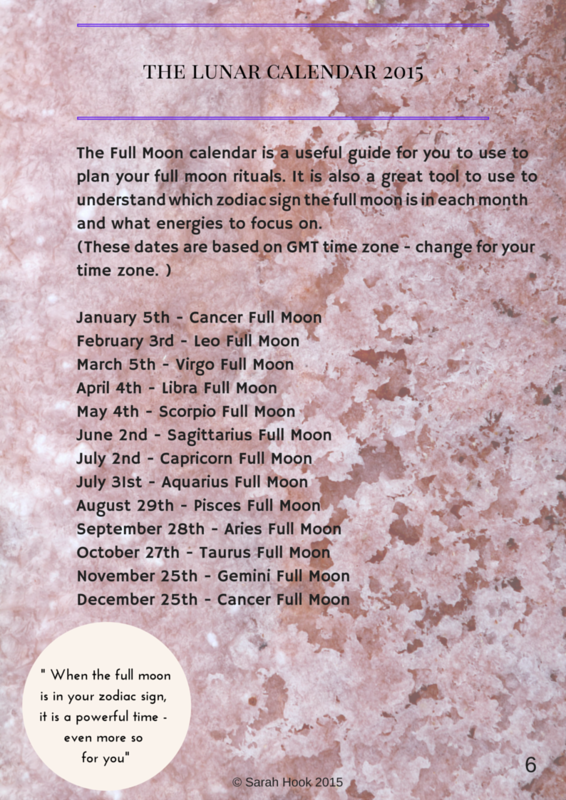 Learn how to set your intentions with the different moon cycles for manifestation. 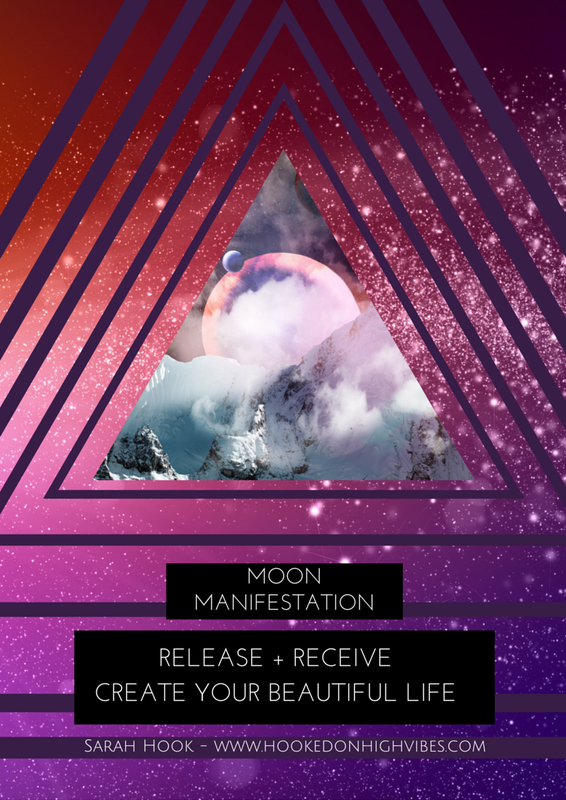 Moon manifesting affirmations and more! Nurture. Connect to your Power. thrive. *You will receive this straight to your email inbox. Remember to check your junk mail box too! I am so intrigued by the book! It sounds amazing! this is just what I have been looking for. I think I’ll be snapping of one these up!